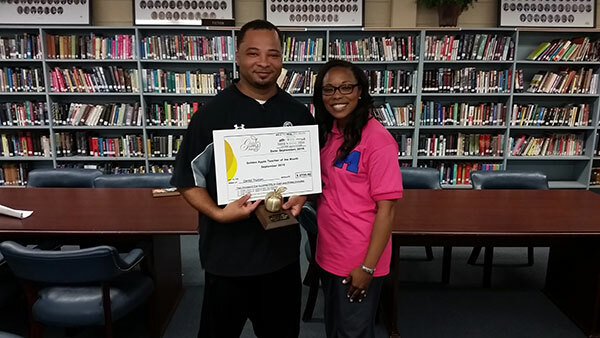 Getting his students to graduate matters more than winning to Southeast Lauderdale High School head basketball coach Centel Truman. 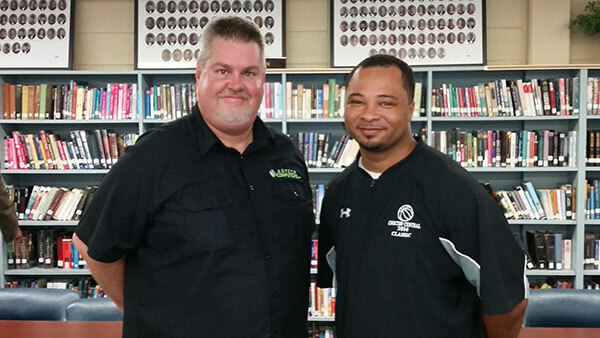 "One thing I like to brag on is that every child who has played for me has graduated," Truman said, adding that his players must prioritize their education before stepping onto a basketball court or football field. "That's something that I take a lot of pride in." 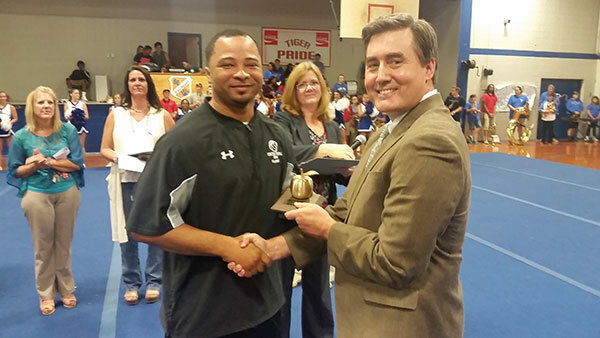 For his dedication to his students, Centel Truman, was named the Golden Apple teacher of September. 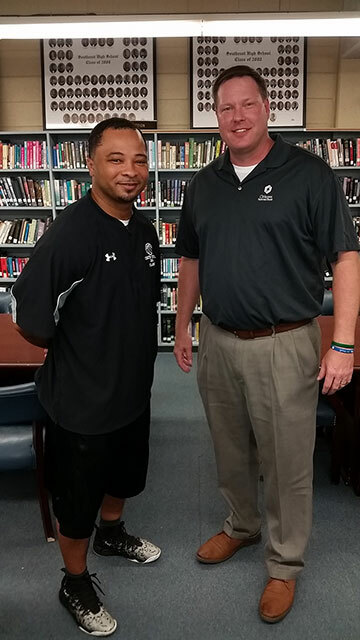 Truman, also a former assistant football coach, has taught and has coached at Southeast for five years and previously taught at Northeast Lauderdale High School. Truman graduated from Northeast in 1997. 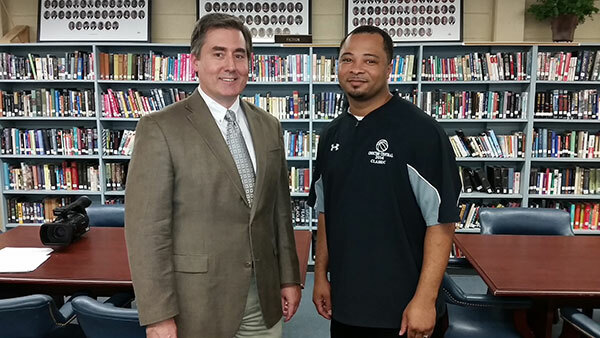 He attended East Mississippi Community College and the University of Alabama before he started teaching in 2003. "I came from a family of ten (children) and we were not well-off," Truman said. "(My coaches) took extra time with me and I appreciate them for that. "What I'm trying to do now is return the favor to kids who do not have as much as others. They might need the extra time or maybe just the extra conversation." 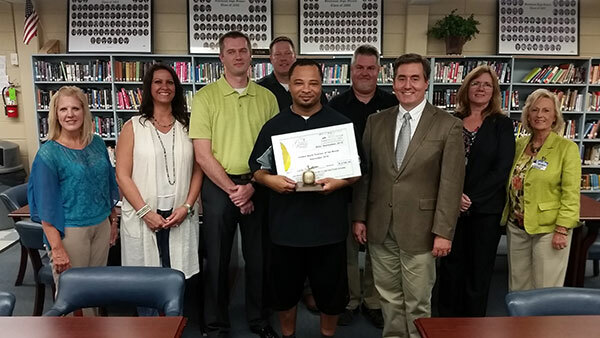 Truman likened receiving the Golden Apple Award to winning a state championship. "I have never won it – yet – but I know the feeling I would probably have if I did get the opportunity to win it," Truman said. Jake Smith, a junior at Mississippi State University, nominated Truman because of the mentoring he received and saw from Truman when he attended Southeast. 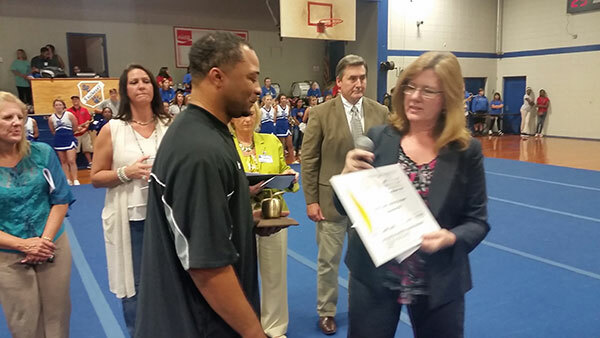 "He truly cares about his players and everybody he comes in contact with," Smith said. "He really does care about them." Smith's father died a few years ago and Truman helped Smith and his family. "He stepped in and filled a role I didn't have at the time. That really meant a lot to me and my family," Smith said. Truman said that he wants Smith, who is studying to become a coach, to work with him when he graduates. "The deal is he's going to work for me," Truman said. "It's something that I would love for him to do – for us to work together." Truman's advice? Love what you do. "When you love what you do, you never have to worry about fighting to get up in the mornings," Truman said. Key sponsors are The Meridian Star, The Meridian Family of Stations Bounce TV & Cozi TV of Meridian, EMEPA, Citizens National Bank, Mississippi Power, Woodstock Furniture, Aotech Computers and Richard Schwartz and Associates. Participating sponsors include LaBiche Jewelers, John O’Neil Johnson Toyota, Southern Pipe and Supply, and Meridian Coca-Cola Bottling Company. 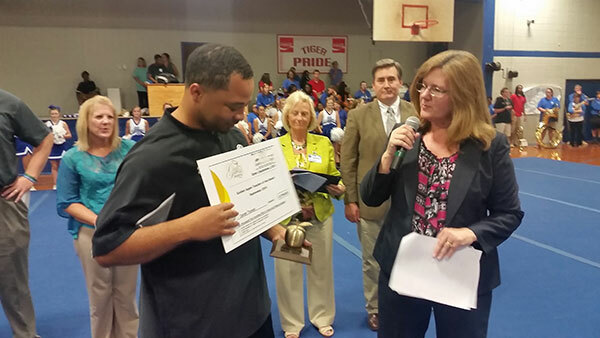 Truman received a laptop and desktop computer, as well as a Teacher of the Month Certificate, $300 cash award, and $150 donation to his Adopt a Classroom account. 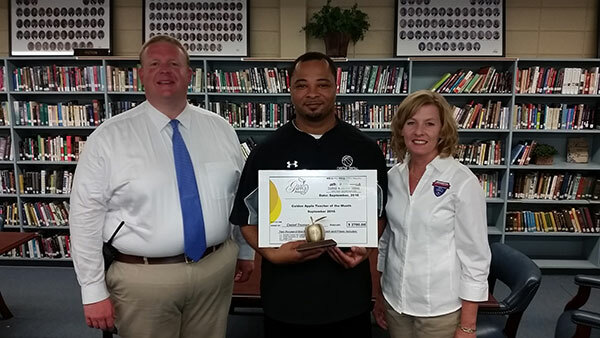 The eight monthly winners will be invited to the Golden Apple Teacher of the Year banquet and that winner will again receive a custom made Teacher of the Year Trophy, $2,500 cash to be used at their discretion and a $2,500 scholarship to be awarded to a deserving student in the teacher’s name. 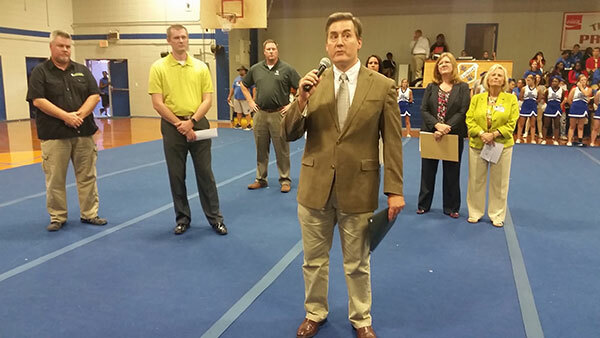 The student chosen will also receive a new $1,500 laptop computer.